Dr. SA Smythe (they / them) is a poet, translator, and scholar currently based in Los Angeles. Smythe is currently working on several book projects: an academic monograph provisionally titled Where Blackness Meets the Sea: On Crisis, Culture, and the Black Mediterranean, a collection of poetry titled proclivity, and a translation of writer and trans rights activist Porpora Marcasiano’s 2018 political memoir, L’aurora delle trans cattive [The Rise of the Bad Trans Women], from Italian to English. Smythe is an assistant professor in the Department of African American Studies at the University of California, Los Angeles. Their work has been published in The Middle East Report, gender/sexuality/italy, the National Political Science Review, The Johannesburg Salon, okayafrica, and elsewhere. 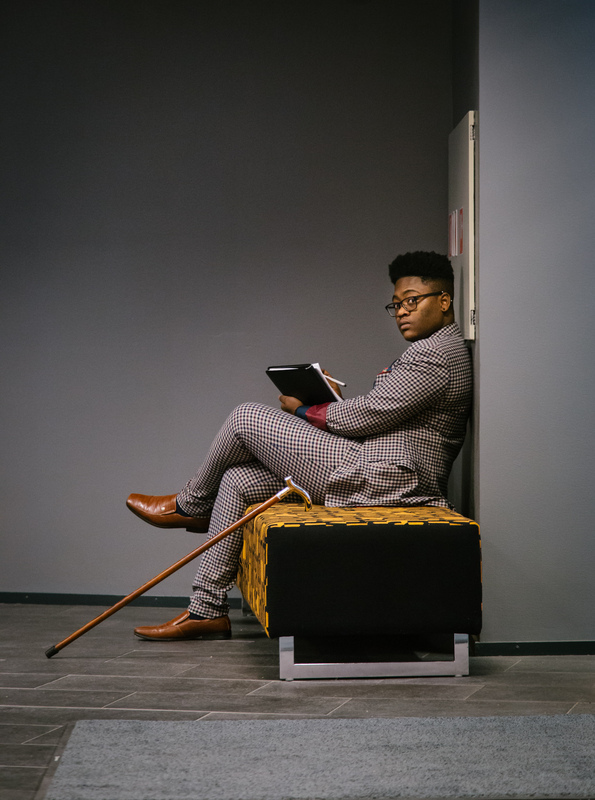 Dr. SA Smythe (they / them) is a poet, translator, and scholar of Black European Literary & Cultural Studies, Contemporary Mediterranean Studies, and Black Trans Poetics. Smythe’s research is focused on literature and other cultural responses to racism, misogyny, colonialism, and other relational aspects of inequality and oppression between Europe (in particular, Italy), East Africa, and the Mediterranean. They are an assistant professor in the Department of African American Studies at UCLA, currently completing the UC President’s Postdoctoral Fellowship in Anthropology at the University of California, Irvine (2017-19). At present, Smythe is working on three book projects. The first is a monograph provisionally titled Where Blackness Meets the Sea: On Crisis, Culture, and the Black Mediterranean. It is a transdisciplinary study of Black Italian, migrant, and postcolonial cultural production focused on the racialized notions of citizenship and belonging in the wake of self-initiated “crises” of migration and the attendant levels of dispossession across Europe, East Africa, and the Mediterranean. The second is a collection of poetry, titled proclivity, which focuses on a familial history of Black migration (between Britain, Costa Rica, and Jamaica), trans embodiment, and emancipation. The third is a translation of trans rights activist Porpora Marcasiano’s 2018 political memoir, L’aurora delle trans cattive [The Rise of the Bad Trans Women], from Italian to English. Smythe’s work has appeared in several academic venues including Middle East Report, National Political Science Review, Critical Ethnic Studies Journal, Postcolonial Studies, gender/sexuality/italy, and elsewhere, including several forthcoming chapters in edited volumes. Their public and poetic engagement has been featured in The Feminist Wire, okayafrica, contemp(t)orary, Johannesburg Salon, Critical Contemporary Journal, and elsewhere. Smythe is founder and co-chair of the Queer Studies Caucus of the American Association for Italian Studies (AAIS), and former publishing editor of THEM: Trans Literary Journal. They are a co-investigator of the British Arts & Humanities Research Council network grant “Queer Italia,” along with Dr. Charlotte Ross (PI) and senior researcher Julia Heim. Smythe previously worked with Dr. Lilith Mahmud as a UC President’s Postdoctoral Fellow in Gender & Sexuality Studies at UCI. They were also formerly an Academic Fellow in the Department of Black Studies at UC Santa Barbara, a Visiting Researcher in the Faculty of Modern and Medieval Languages at the University of Cambridge, and a Visiting Fellow at the Institute of Modern Language Research at the University of London’s School of Advanced Studies in the Centers for Cultural Memory (CCM) and Contemporary Women’s Writing (CCWW). Their Master’s (with Distinction) and PhD are from UC Santa Cruz’s History of Consciousness Department with designated emphases in Literature and Feminist Studies. They previously studied Russian, Linguistics, and Italian (Honors) at the City University of New York, Italian Studies and Gender & Women’s Studies as a Research Fellow at UC Berkeley, and Semiotics at the Università di Bologna in Italy. Smythe’s transdisciplinary intervention engages with Black cultural studies, the Black Radical Tradition, Italian literary studies, postcolonial historiography, Mediterranean studies, queer and trans studies, and critical human geography. Smythe organizes in QTIBPOC feminist and abolitionist writing collectives between NYC, the Bay Area, London, Berlin, and Los Angeles. Their meditations on race, sexuality, loss, and aberrance manifest most clearly in their poetry, which they’ve performed in/across English, Italian, and Spanish. They are also a (currently freelance) translator and editor of academic and literary texts in several languages. SA really enjoys composing and dancing to music, traveling, reading, knitting, and cultivating home with feline companion Mlle. Winslow Audre Gigglepeppers-Smythe III and a neat glass of scotch. While old classic films with Chaplin, Dietrich, Mastroianni, or Poitier are some favorites to watch, nothing beats anything starring Dame Angela Lansbury, especially Mame (1966) and Murder, She Wrote, a show to which they are unironically devoted and willing to re-watch until the end of time. © 2019 SA Smythe. All rights reserved.